This document is a provisional draft that has emerged out of an initial “State of the Field” issue and database, published in JSE in 2014 and a follow-up conference in Winter of 2015. Jaimie Cloud of the Cloud Institute has been the lead organizer and author of this document. See the opening pages for the large number of additional contributors. A process for comment and revision will be announced during Spring/summer 2016. Abstract: Geography supports place-based inquiry for the learner, applying the old environmental adage of “think globally, act locally” to environmental problem solving. 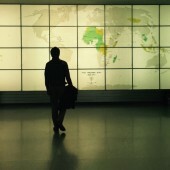 Many within and outside of the discipline of geography see it as a highly appropriate home for sustainability studies. Yet despite a history of human-environment education, place-based relevancy, and support from professional research or education organizations, studies show that geography does not always take a lead role in sustainability education. In the following, we revisit the contested histories of geography and sustainability education and show support for geography-led sustainability curriculum. The scope of this research is universities which have self-identified as leaders in campus sustainability, using the Association for the Advancement of Sustainability in Higher Education (AASHE) Sustainability Tracking, Assessment, and Rating System (STARS) participation as an indicator. To best understand the current relationship of geography and sustainability studies in higher education, this study examines the role of geography in offering “Sustainability Focused” courses as reported by AASHE STARS institutions with geography programs. The results show that although geography departments are highly utilized when present at an institution, there is still much room for improvement both within geography departments and campus-wide. We then discuss the implication of these findings, both for the discipline of geography and for students of sustainability. Just as place scholarship reaches across and through many disciplines, so this issue ranges widely, including 14 scholarly features as well as media reviews, case studies, photo and poetic essays, and sustainability journeys. Disciplinary lenses include the arts, sociology, philosophy, natural resource management, sports science, and archaeology, among others. This paper describes a group of mountain museums set amidst the Eastern Alps and the Dolomites, considering their significance for the cultural identity, heritage education and sustainable tourism in South Tirol. 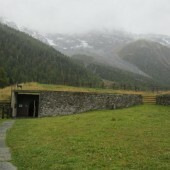 The importance of the Mountain Museums is analyzed in connection to their setting and to the development of the communities in the area. The exhibits are analyzed considering their role in the construction of a regional identity and in the education towards the appreciation and preservation of the natural and cultural heritage of mountains, locally and worldwide. For the purpose of this research, the author visited the six buildings belonging to the net of the Messner Mountain Museum and she conversed with the director, Mr. Reinhold Messner, who is often credited as the most remarkable alpinist in history. Many people believe the desert is a harsh forsaken place, but for the Hualapai Tribal people of Northern AZ it is home; a place where every plant has a name, a purpose, and a story. 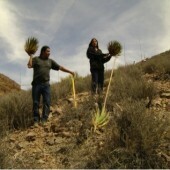 The Hualapai Ethnobotany Youth Project is celebrating its tenth year of existence. It is an intergenerational program bringing Tribal elders and youth together to share about the plants that sustained the people for millennia. 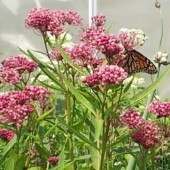 The Journal of Sustainability Education (JSE) serves as a forum for academics and practitioners to share, critique, and promote research, practices, and initiatives that foster the integration of economic, ecological, and social-cultural dimensions of sustainability within formal and non-formal educational contexts. Journal of Sustainability Education is licensed under a Creative Commons Attribution License.